It’s a strange world of newspeak we live in. What was once a society devoted to logic and progress is now being herded in echo chambers of thought control and anti-critical thinking. Without the ability to examine an issue impartially and completely there is little hope of maintaining liberty and freedom, as history repeatedly demonstrated. Today, we find that thinking is a diminishing art, and in its place, sound bites and stop-thought terms are used to put the brakes on the mind. These terms are widely used as signals to prevent minds from looking too deeply at a topic or issue. The three terms most widely used today to this avail are detailed below. 1.) Conspiracy Theorist – This term is so overused that it really is devoid of any practical meaning. If you were to examine it at face value, though, it describes a person who is looking to understand injustices in our world and is willing to look at uncomfortable facts in search of negative influence… of which there is plenty in our world today. However, ‘conspiracy theorist’ has literally become a derogatory term that is attributed to anyone who refuses to accept mainstream narratives at face value. It doesn’t matter that there is overwhelming evidence to indicate that mainstream media does not value objectivity or report on important issues thoroughly or truthfully. Now we find this term applied as a prefix to well-known journalists and media personalities, almost as we use the term Doctor. It’s an adjective that precedes them everywhere, so that before you even know what issue is being discussed, you know that the issue is coming from someone considered to be fringe and unacceptable. 2.) Alt – We see the label ‘alt’ being applied more and more frequently as an adjective for sentiments that supposedly do not fit in with the accepted status quo. Ideas outside of the box. Alt-Media. Alt-Right. Alt-Left. Alt-News. Alt-Health. And so on. The signal here is that the mainstream is the safe space, and that any segment of ideas or thought given this prefix is outside of that mainstream, and therefore not something ordinary people would want to associate with. It takes complex ideas and sensitive issues and benches them, so that when the hive mind stumbles upon something ‘alt’ they immediately react with fear, disdain and feigned outrage. There is no ‘alt’ in our world. We are one, and any faction of ideas is really just a spinoff of the shared reality we all live in. If segments of this shared space are off-limits and labeled as so, we all lose. 3.) Hate Speech – This term is one of the all-time favorites of politicians and tyrants. After all, what could more dangerous than hate? Newsflash: Hate speech is not the same thing as a hate crime. Speech is just that, speech. It is literally vibrating air moving through space, and unless we’re talking about and LRAD crowd control cannon, sound really can’t cause people physical harm. It is fascinating to watch how people use this term so freely as if speech itself can be criminal. American society is founded on the idea of freedom of speech and self-expression, which at its core is the recognition that as human beings we do not and never will all see the world in the same way. It is an acknowledgement of the fact that different people have different ideas about how the world is and should be. That these differences shouldn’t be used as a basis for discrimination. The term hate speech is one of the most loaded and ambiguous terms in the political lexicon. Beware. Next time you see or hear these terms being used, ask yourself what it is about the story that you’re not supposed to think too deeply about. Allow both sides of the argument to share equal time in your mind, and honor the independent, sovereign being within yourself that deserves a chance to make up its own mind about how it wishes to view the world. Sigmund Fraud is a survivor of modern psychiatry and a dedicated mental activist. He is a staff writer for WakingTimes.com where he indulges in the possibility of a massive shift towards a more psychologically aware future for humankind. 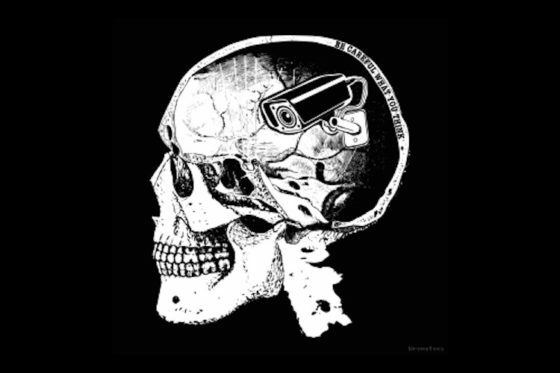 This article (The 3 Trigger Terms Being Used to Stop Critical Thinking) was originally created and published by Waking Times and is published here under a Creative Commons license with attribution to Sigmund Fraud and WakingTimes.com. It may be re-posted freely with proper attribution, author bio, and this copyright statement. Next Next post: Will We Ever Stop Using Rockets to Get to Space?